STORY is a retail space unlike any other, one that has the point of view of a magazine, changes like a gallery and sells things like a store. 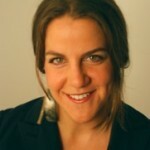 Founder Rachel Shechtman talks about re-envisioning retail as a media channel. STORY has received Fashion Group International’s 2014 Rising Star Award for Best Retail Concept and was named to Time Out NY’s list of 15 NY Top Shops. STORY’s model of “retail media” has earned attention from the press, and on its behalf Rachel has been profiled by the New York Times, Ad Age, and named to Crain’s NY 40 Under 40 List for 2015, Fortune’s 40 Under 40 List for 2013, and on Fast Company’s Most Creative People in Business. Outside of STORY, Rachel is an active member of the startup community, currently an advisor to Quirky, Birchbox, Bow & Drape, MikMak and SmartyPants Vitamins. She also sits on the Digital Advisory Board of American Express OPEN and on the Marketing & Media Committee of the Cooper Hewitt.